Recommended Resource: For even more data, see our ultimate roundup of Fascinating Content Marketing Statistics To Make You A Marketing Genius! 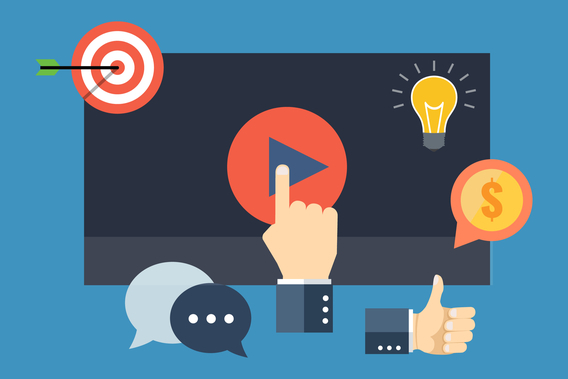 Key takeaway: There’s no need to wonder about the benefits of video marketing for business. It’s definitely worth it, and you don’t have to take video marketers’ word for it, either. 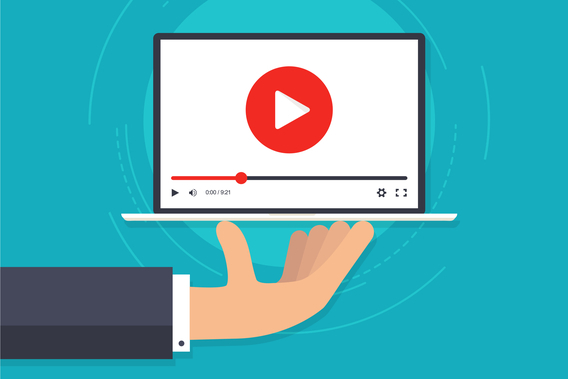 Here are two examples that show the power of video marketing. Tiger Fitness says video marketing has helped them achieve a 60% returning customer rate, which is three times the norm for their industry. And SAP got 9m impressions with a video-heavy content marketing campaign. Another issue is how widespread video marketing is. These video marketing statistics suggest a lot of people are using it. Aberdeen Group says 41% of marketers use video as a strategy. Other research puts the figure even higher. According to Animoto, 55% of small and medium sized business owners have produced or outsourced video production in the last 12 months. And Wyzowl says 63% of businesses use video for marketing. 60% of both B2B and B2C marketers use video for marketing. 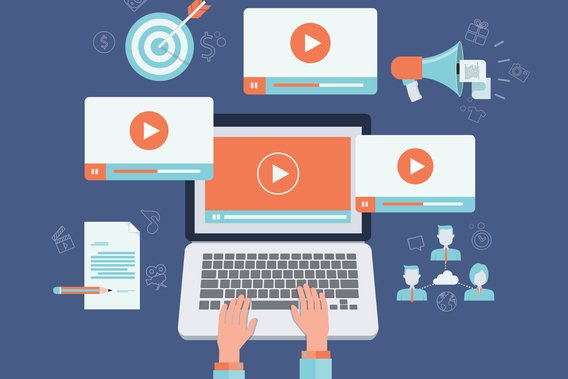 30% of B2B marketers say video will be key to content marketing success. 34% of B2C marketers say it’s crucial to success. Social Media Examiner has similar findings. Its research shows that in 2016, 60% of marketers used video; 73% plan on using it more this year. In addition, 14% of marketers used live video in 2016. Key takeaway: Around two-thirds of marketers are using videos for marketing; you can’t afford to be left out. So, how do consumers respond to video marketing? The online video stats show that they love it. Hubspot’s research shows that 45% of people watch an hour or more of video per day. According to Google, half of 18-34s would stop what they’re doing to watch a new video by their favorite YouTube creator. Google adds that 40% of millennials trust YouTube for content; and 60% say videos they’ve watched have changed their world view. Length matters, too, in video marketing. According to Wyzowl, 50% of consumers believe the right length for an explainer video is 1 minute. Wistia’s research shows that videos up to 2 minutes long hold viewers’ attention; then there’s a drop off. Attention picks up again for videos between 6 and 12 minutes long. If you’re running video ads, they’d better be stellar. According to Mary Meeker’s 2016 Internet Trends report, 81% of consumers mute video ads. And Digiday says that 85% of Facebook video is watched without the sound turned on. Key takeaway: Consumers love video, but you’ve got to make it good and keep it short. Consider using a video popup the next time you create an optin. Mobile marketing is all the rage, so most recent research has also paid attention to mobile video marketing. 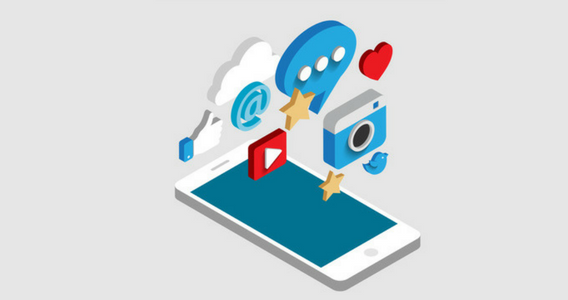 According to IAB, marketers increased their spending on mobile and digital video ads by 95% between 2014 and 2016. Key takeaway: Make no mistake; the future is mobile. Mary Meeker’s 2016 Internet Trends report reveals that Facebook gets 8 billion video views daily. If you think that’s a lot, then you’ll be blown away by Snapchat’s 10 billion daily video views. Meanwhile, DOMO says Snapchat users watch 6.94m videos a minute. But with more than 1 billion users, YouTube packs a powerful punch. The site has more viewers among 18-49s than any US cable network. 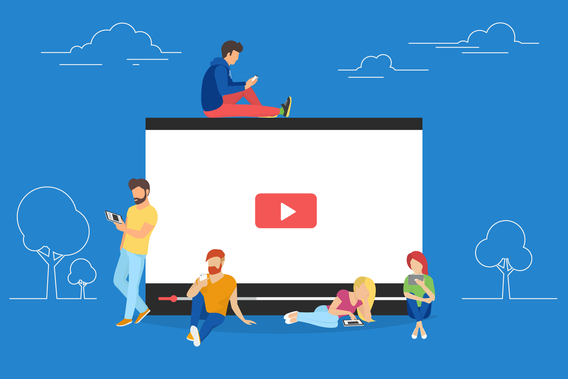 That’s why it’s no surprise that Animoto’s research reveals that 26.4% of professional marketers and 18.5% of small and medium-sized business owners say YouTube will be their main video sharing platform in the next year. Key takeaway: These video marketing statistics show that as long as we have social media, we’ll likely have social video, too. Our research into video marketing statistics suggest that video will be a great way to grow your network and customer base, not just this year, but in the future. Wyzowl says 82% plan to spend more on video. There is a challenge, though. According to Ascend2’s State of Content Marketing report, 64% of marketers see video as the most difficult content to create. 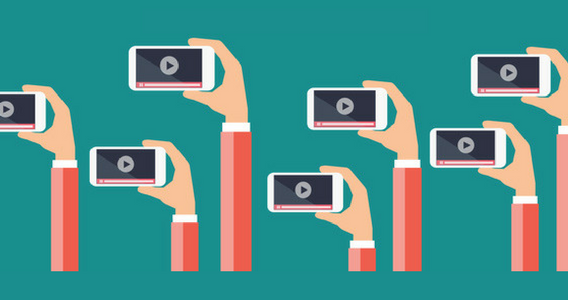 Key takeaway: Video marketing continues to evolve. It’s time to start using video so you can keep up. Recommended Resource: Ready to get started creating your own videos? Check out our roundup of the 51 Best Free Visual Content Creation Tools To Make Marketing Easy! If you’re going to use video more in your marketing, consider learning how to add an optin to your video, and see our list of video creation tools. And don’t forget to follow us on Twitter and Facebook for more useful guides. Thanks for sharing these Facts and updating me. Yes, I agreed with you video marketing is the best way to increase the ROI and promoting our services and products. Solid content Sharon…thanks for putting this together for us! Thanks, Tyrone. Glad you liked it. 🙂 You might also enjoy our in-depth guide to content marketing ROI.